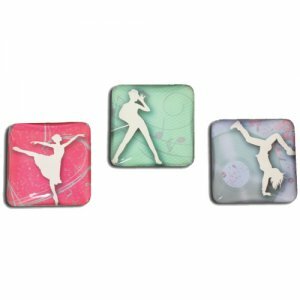 Set of 3 full size square magnets with curved glass front. Each has a white silhouette highlighted by a unique background design. Dasha’s exclusive design.